When I was young, a category four tornado struck a small town located about 30 minutes from where I lived. Four people were killed in the disaster. This particular tornado was part of a tornado outbreak that struck Ohio and Pennsylvania in late May of 1985. At least 30 storms were part of this tragedy that killed 76 people. With the recent news of the tornado in Oklahoma, I’ve been thinking a lot about this event in my past, and in general, how we face disaster — both at a national level and at a more personal level. 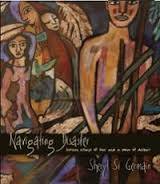 I’ve also been thinking about a book I just read titled Navigating Disaster: Sixteen Essays of Love and a Poem of Despair by Sheryl St. Germain. Indeed, Katrina is very much part of this book, but it doesn’t define the author or her family. Instead, St. Germain finds these defining moments in different ways, especially through travel. In her essays, she catalogs physical surroundings but also narrates stories of home. 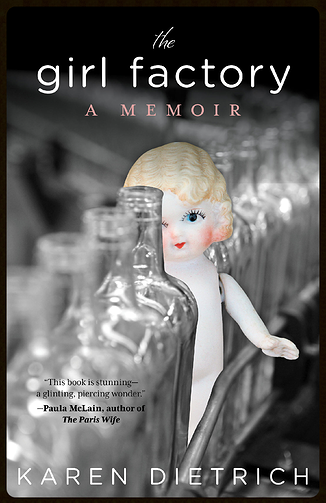 Often, these essays work with memory, negotiating the author’s present ideas to her thoughts of the past. 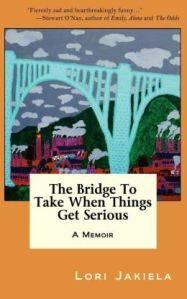 In the first few essays of this book, St. Germain is traveling in Alaska, considering the similarities of her surrounding with her home. In other essays, she returns to home through memory, contemplating the complex history of racism in her family or the role that the levees played in her life. In my favorite piece, “Why She Won’t Leave: My Mother’s Blues” the author gives us a love song in prose, celebrating both family, place, and home. St. Germain is a master at the lyrical essay — so much so, that one will probably forget that the book (with the exception of one poem at the end) is a collection of essays and not a collection of poetic verse. It’s easy to get lost (in a good way) in the places described in this collection, but not easy to forget that the stories being related are told out of love. Navigating Disaster is a wonderful collection of strength, and a must read, especially in today’s troubled times.